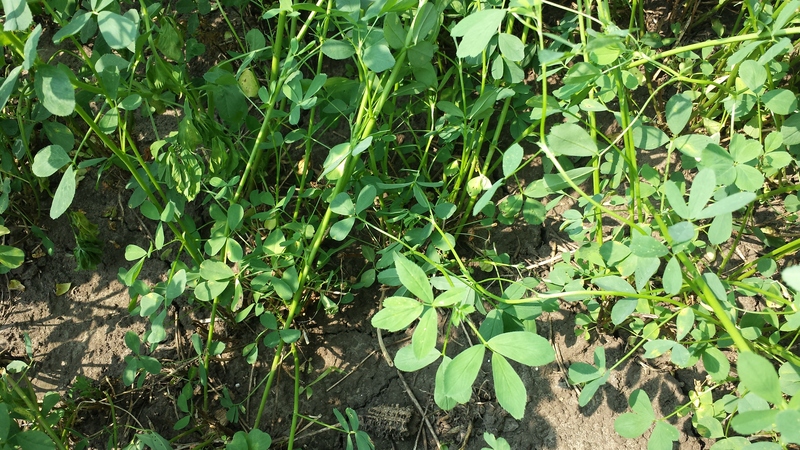 Due to the wet fungal conditions this year, putting Headline® on alfalfa has proved to be a beneficial addition to grower’s crop protection programs. Not only have there been tremendous yield increases, but the quality of feed has improved. Headline offers excellent disease control while supporting plant health and growth. The pictures below are taken from an alfalfa field near Trempealeau, WI where a test strip sprayed with Headline, Master lock and Arctic are being compared to alfalfa in the same field sprayed only with the insecticide Arctic. 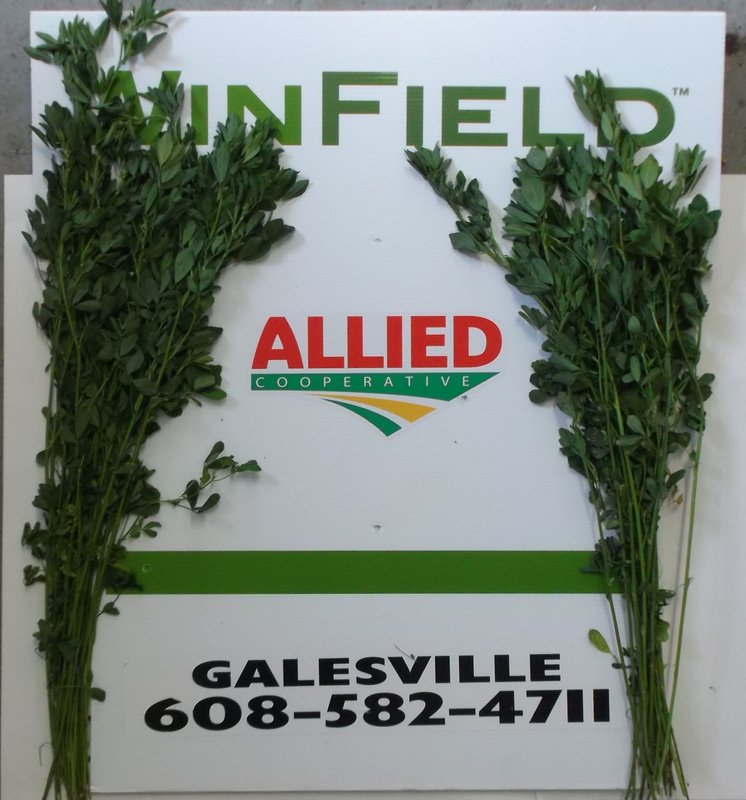 There is a dramatic increase in the height of the alfalfa where headline was applied compared to that of where it was not. Also looking at the leaves in the lower canopy, the Headline applied alfalfa has better leaf retention and outstanding disease control. The application of Headline on alfalfa improves disease control in the lower canopy of the crop as shown above. Here is a picture of the same field but in an area where Headline was not applied. We can see a clear difference in the amount of disease present. Headline clearly promotes plant health and growth. 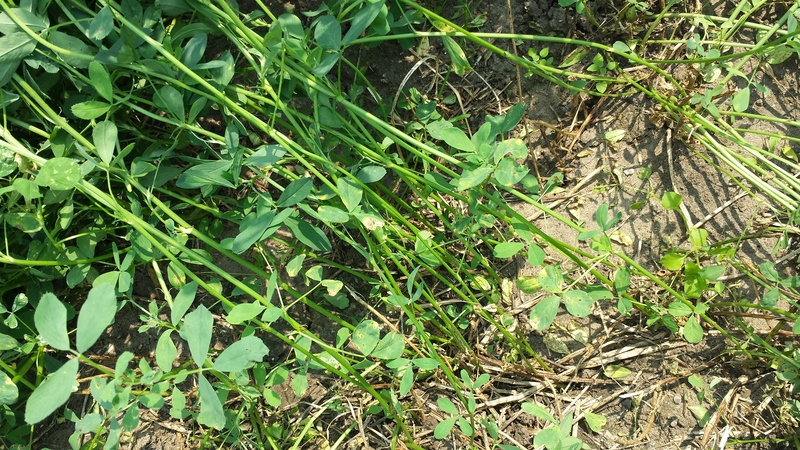 Headline Applied on Alfalfa — The top row of leaves were taken from the upper parts of the plants and the bottom row of leaves were taken from the lower part of the plants. No application of Headline — The top row of leaves were taken from the upper parts of the plants and the bottom row of leaves were taken from the lower part of the plants.